From my vantage point of over four exciting decades in full-time youth ministry...how has it CHANGED and where is it GOING? The Faith Formation 2020 Study gives us a statistical, analytical look at the FUTURE OF THE AMERICAN CHURCH. Their findings reveal that we are not facing a growth-oriented future if we keep doing things "business as usual." 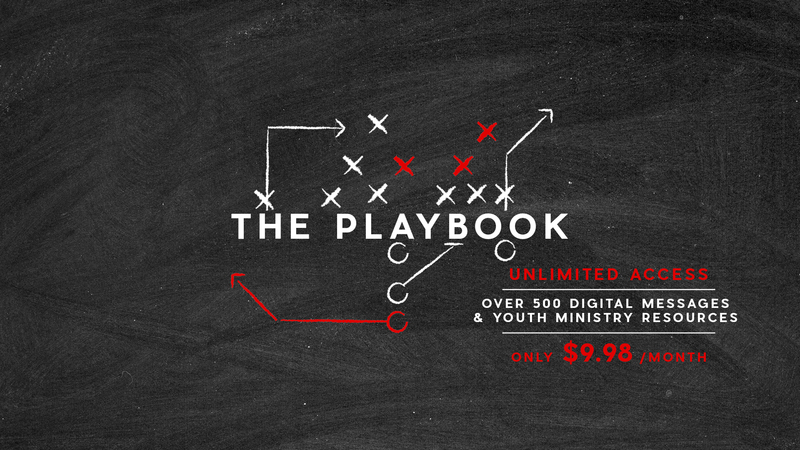 In this month's Youth Leader's Coach, "Acts 29: The Next Chapter In Spirit-Empowered Youth Ministry," I talk about five needs that are repeatedly expressed in the data when church leaders themselves are asked for their most PRESSING NEEDS as we look ahead. I also share my thoughts on what we need to do to write the next part of the youth ministry story. We get to be a part of a tipping point in the church world, and I'm excited to be a part of it with you! With this edition of the Source, "Christ's Answer To The Fear Factor," we give you a "can't miss" event. This is an outreach-based message that we did for two weeks. While this Source isn't long enough to include the audio from both nights, we've given you both sets of notes to use. We've also loaded up this Source with all the games, tech notes, and more to execute this event flawlessly. So take what you want, adapt it for your gang, and if you only do it for one week or stretch it longer than two, I know this will be a hit with your team! On a personal note, this message deals with two of the biggest fears that people in our society struggle with: "the fear of rejection" and "the fear of insignificance." Our own students and ourselves, if we're honest, fight these fears daily. As you listen, you'll hear me often speak of my own battle with these fears. Remember, "you will lead people with your strengths, but you will connect to people with your weaknesses." So sit back, relax, and give me a few minutes to be you "long distance cheerleader." A headline appeared on the front page of the USA Today newspaper. It read, "Ever since 9-11, a rash of violence in our world which is highly difficult to contain has continued to mount through the means of young adult suicide bombers. We wonder why the Palestinian and Islamic movements are gaining such momentum worldwide. Perhaps these zealous young people are the answer. These young men and women don't want to SEND a bomb. They want to BE THE BOMB." Then listen to these haunting words from more of that newspaper article: "There is little likelihood of permanently stopping any of these young suicide bombers who are so fiercely CONSUMED by their cause that they are literally willing for THEIR CAUSE TO CONSUME THEM." In this month's Youth Leader's Coach, "Consumed," I'm sharing three things we need to remember if we want to be consumed for Kingdom purposes. The world is full of stories of people who give their lives for a lesser cause than the cause of Christ. And though few of us are called to give our lives PHYSICALLY, we are all called to give ourselves whole-hearted SPIRITUALLY. What are some of the key principles and questions that need to be answered before entering a ministry? What about when exiting? First impressions are lasting, but so are final impressions. In this session, we will discuss strategies to entering a ministry, reasons to remain at a ministry, and ways to successfully exit. Many people may enter a ministry strong, but fail to exit well - don't be one of them. What is the ONE THING you want to "leave it all on the field" for? 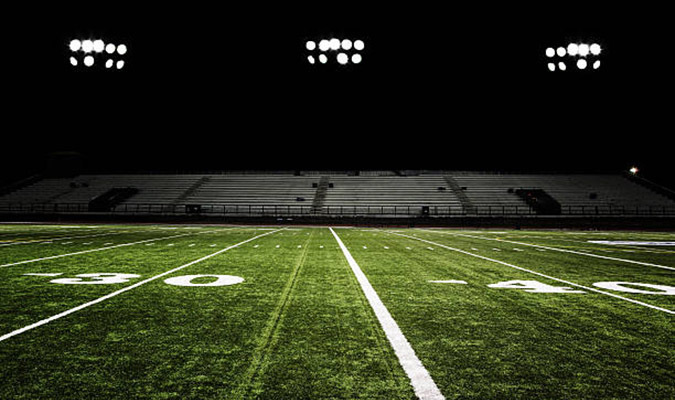 Based off of the epic true story from a football championship game of the Permian High School Panthers, this month's Source is called, "FRIDAY NIGHT LIGHTS"! In this Source, I talk about what it takes to keep us in the "spiritual game" of life and the sacrifices for success it requires. Also, what it takes to find our ONE THING that we fight for as we reach down to the core of our ultimate calling...the purpose that keeps us going. With some inspiring clips from the movie and key Scriptures from the life of King David and some of his mighty men, I challenge our students to fight for a God-Sized Dream that will last into eternity. Youth pastors usually go through three stages, from "Survival" to "Success" to "Significant." How do you become a "Significant" youth pastor? By making an impact in the lives of the kids you serve. In this session, Richard Crisco, the Senior Pastor of Rochester First Church and the former Youth Pastor during the Brownsville Revival, shares how to make a lasting impact through Integrity, Mentoring, Prayer, Anointing, Consistency and being Touchable. What a fun topic! We were in a series at our youth ministry called "At The Movies." It's where we're taking a look at some of the most popular movies that have come out recently and finding how they reflect some pretty powerful truths from the Word of God. In this resource, we're talking about "Interstellar: Impossible...But Necessary." There are so many life-giving biblical truths that can be pulled from this movie. I'm sharing on just 3 that I believe can revolutionize our walk with Christ if we grab ahold of them. So listen in to this illustrated message as we talk about prioritizing relationships, God's love for us, and doing something with our lives that may seem impossible, but necessary! I love the word "INVICTUS"! It means "unconquerable spirit" and is used as the title to William Henley's powerful poem written in the 1800s. An amazing movie based on the true story of Nelson Mandela bears the name as well. The nation of South Africa was racially divided in the wake of apartheid, when Mandela took over its presidency. However, it was not before he spent 27 years in a small prison cell as a result of his protest of racial inequality. Mandela's ability to internalize Henley's poem during those years, specifically the last two lines, "I am the master of my fate: I am the captain of my soul," enabled him not to abuse his new found position of power and authority but use it to unite a nation. In doing so, he became a living example of John 10:18 where Jesus says, "No one can take my life from me. I sacrifice it voluntarily." As exemplified in the lives of Jesus and Mandela, it is in the willful laying down of our rights that we come to understand what ultimate power and authority truly looks like. Using the timeless movie, poem and Scripture, we communicate this core truth to our students in this issue of the Source. It's a huge paradigm shift from what today's youth and young adult culture are hearing. Come make the leap with us. The world we live in offers many quick and easy options. Our students, along with ourselves, all struggle with wanting "something for nothing." Far too often, this attitude influences our relationship with Christ. In this Source, "It Will Cost You Something," I make a challenge to your students to pursue a dream and purpose larger than themselves: A LIFE WHOLLY ABANDONED TO CHRIST. Nothing you or your students do halfway is ever worth it. May this Source push your gang into pursuing Christ with a "Kamikaze" spirit! You and your youth group can have an authentic relationship with Christ, but IT WILL COST YOU SOMETHING! Dan Valentine has been in ministry leadership for a long time. His first experience was as a small group leader in Jeanne's youth ministry. Dan learned much about being an inspirational leader from Jeanne and other leaders that he has worked for. One of the main things Dan has learned is, to be an inspirational leader means you have to live an inspirational life that inspires others to be great. He also learned from Jeanne early on, that for an inspirational leader, quitting is not an option and new leaders don't just come to you, an inspirational leader raises up leaders around him. In this session, Dan shares these and many other valuable lessons he has learned about not just being a leader, but one that inspires others to be successful.